Of all people, teachers are at the top of the list for me when it comes to holiday gifts. If you struggle to find the right teacher gifts, then this round up of gift ideas for Teachers might help! 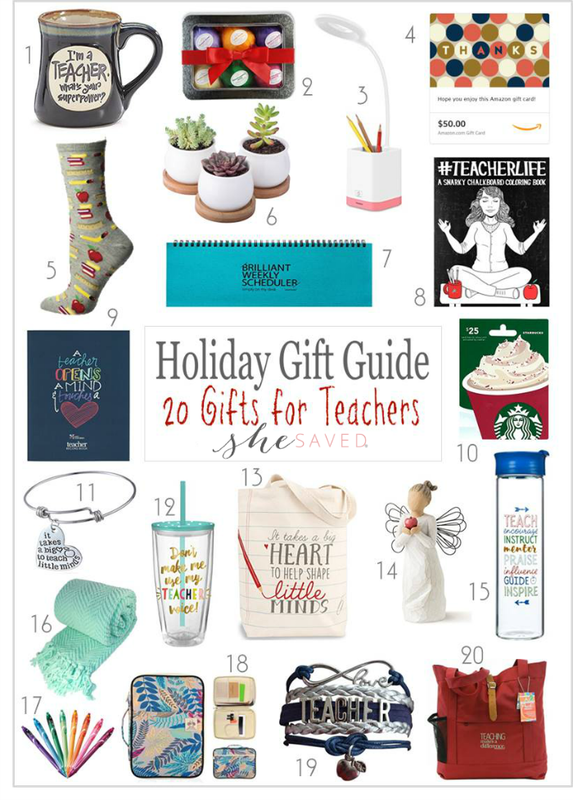 I did want to add that I think more than anything else, gift cards are probably my favorite thing to give teachers but you could actually pair a gift card with many of the gifts below. I never feel like I can show my appreciation enough for those teachers that have touched the lives of my children. Have a favorite wine drinker on your list? I have you covered there too with my gift ideas for the wine lover!